Kenneth Rijock's Financial Crime Blog: WILL LEBANON BECOME EMBROILED IN THE GOLAN HEIGHTS ISSUES ? WILL LEBANON BECOME EMBROILED IN THE GOLAN HEIGHTS ISSUES ? 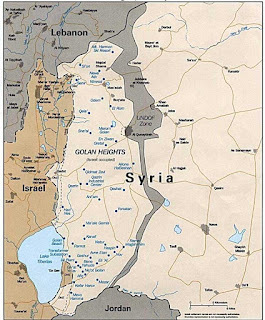 We have noted that the United States Government is planning to recognize Israel's annexation of the Golan Heights, which it captured in a war of self-defense in 1967, and extended sovereignty to it in 1981. Precisely what this will do to Country Risk for Lebanon is a major cause for concern among compliance officers at international banks whose customers have clients in Lebanon, and conduct extensive trade with them, principally exports. For those readers who weren't paying attention when you studied Middle East history, the Golan was historically always a part of biblical Israel; dozens of synagogues were discovered when the area was excavated after 1967. Also remember that the Sykes-Picot treaty was originally giving the Golan to the British Mandate of Palestin, but the Brits swapped it to the French, in exchange for the oil field around Mosul in iraq, which was also in the British sphere of influence. 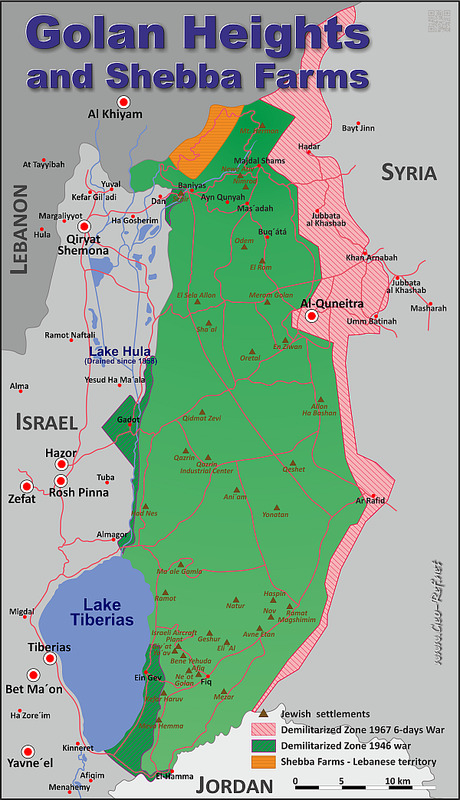 There's no bona fide Syrian claim to the Golan that trumps that of Israel. Israel has long asserted that, should Hezbollah choose to engage it in a Third Lebanon War, that it intends to extend the battlefield to the entire country, especially including attacks on infrastructure, due to the reality that Hezbollah now controls Lebanon, both politically and as a military force. Hezbollah claims the Sheb'aa Farms region, which is a portion of the Golan Heights, not in Lebanon, that it maintains a bogus claims upon, as a pretext for war. So, if American recognition of the de facto Israeli annexation of the Golan Heights precipitates a new Hezbollah-Israel war. we trust that you have red out earlier articles, and drastically mimimized your cleints' financial exposure to both Lebanon's importers, and its banks, for if the missiles fly from the south of Lebanon into Israel, you can expect the Beirut banking center to be among the casualties, when israel retaliates. 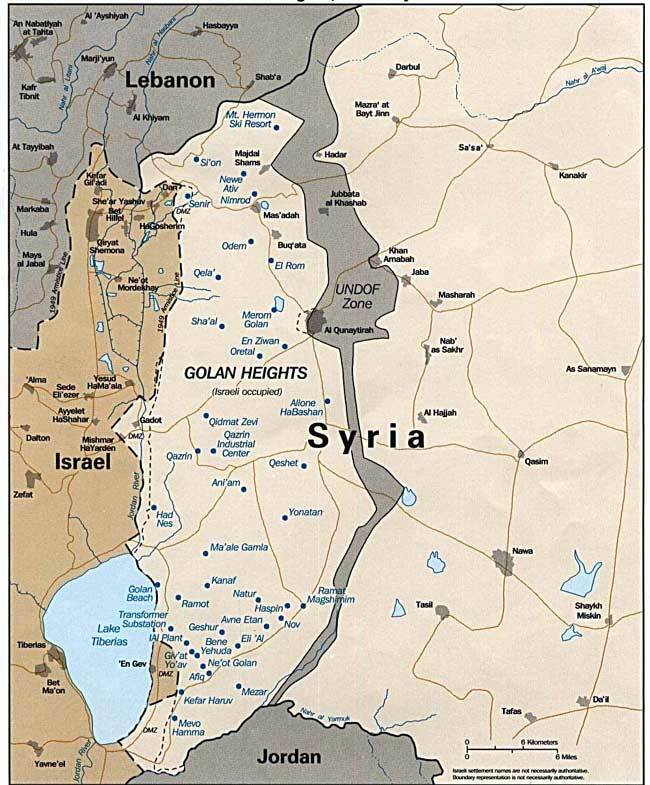 Whether the US recognition of the Golan Heights as a part of Israel causes that to occur is right now, anybody's guess; be alert.